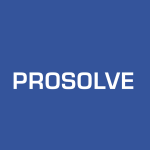 ProSolve Consulting Ltd.Warehouse Optimization Archives - ProSolve Consulting Ltd.
Slotting is a process to allocate storage locations and space for different skus in warehouse inventory. Slotting many skus in their correct places results in faster stock selection times, higher productivities, and greater satisfaction for customers. SKU Information – Information related to the dimensions, weight, demand, and other characteristics of the SKUs in inventory. Storage Information – Information related to the existing (or desired) configuration of the storage equipment, pick zones, and pick paths. Slotting Rules – Definition of the criteria used to determine the improved slotting plan. Improve the productivity and ergonomics of your order picking and replenishment processes.